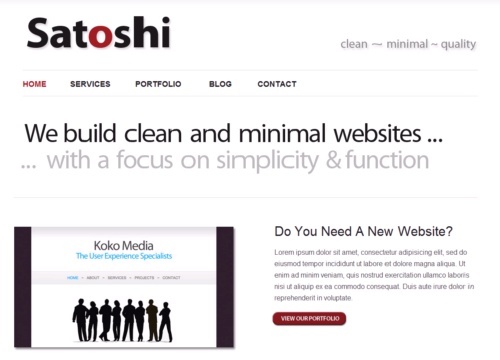 Satoshi is a clean and minimal portfolio WordPress theme that's ideal for showcasing project work. It comes with a range of professional page templates including a custom front page, a stylish blog design, a portfolio page, and a fully functional contact form. It's also packed with other great features such as drop-down menus, Google Analytics integration, and the ability to easily upload your own logo. And best of all - it's FREE.